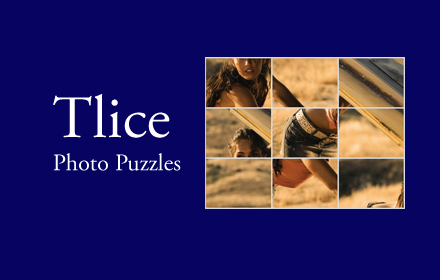 Tlice have thousand of photo puzzles like celebrity, wonder, nature, cartoon, news and Facebook photo puzzles. We have added a timer on photo puzzle. As soon as you start drag in the photo slices the timer start and if you break to records, you have an option to set an alert whenever the next player break your records. You can connect the photo puzzle to your Facebook account to keep the records and alerts. Tlice has been developed by using JQUERY, PHP and MySql.